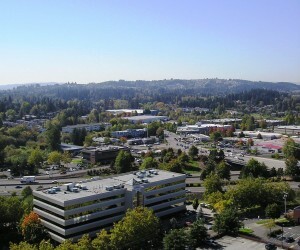 The city of Beaverton lies west of Portland, in Washington County. From a business perspective it's best known as being home to Nike, with the headquarters of many other well-known high tech companies also in the area. Beaverton was a sleepy little town that has really grown in the past several decades, mostly due to the MAX light rail line going through town and businesses thriving in the area, including many restaurants with international cuisine and thriving shopping areas. The city website and Chamber of Commerce sites are also good sources of information on the area. To see the listings on their own page, click this link: Homes for sale in the Beaverton Area.